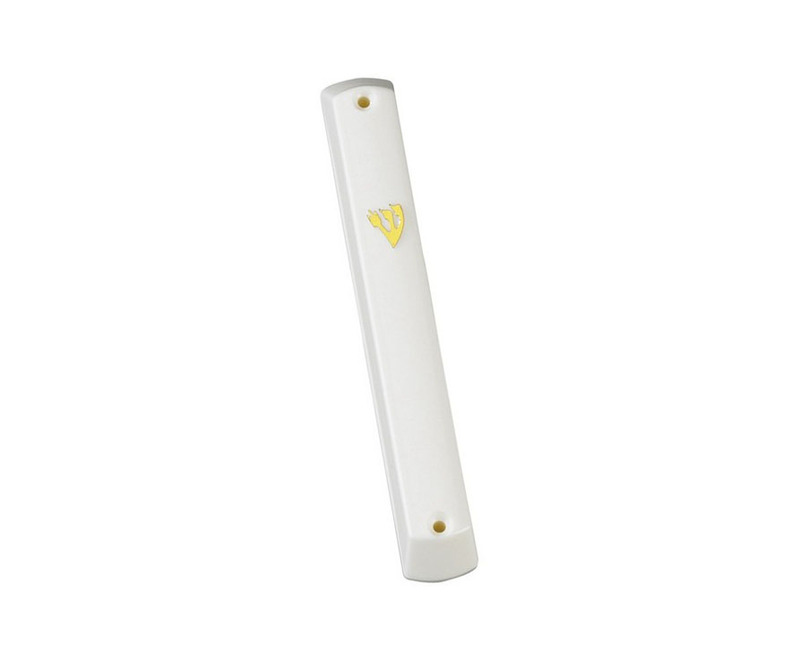 This standard white hard plastic mezuzah holder will hold your mezuzah parchment in place and enable the mezuzah parchment to be seen from the outside. The case is decorated with a gold colored “Shin”, the Hebrew alphabet letter that represents G-d’s name as a guardian of the home. The case is made from two parts, the holder and a back cover that detaches, allowing easy placement of the parchment. The case has two holes on each end allowing the case to be easily affixed with nails to the doorpost.